Hal Niedzviecki—Canada’s self-defined indie guru—faces adulthood, fatherhood, and a growing generation gap. 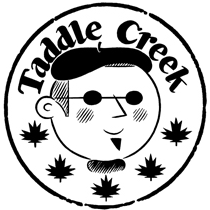 Taddle Creek’s most-rejected author can’t catch a break. Jack Martin captures the vitality and spontaneity of Toronto’s club scene.